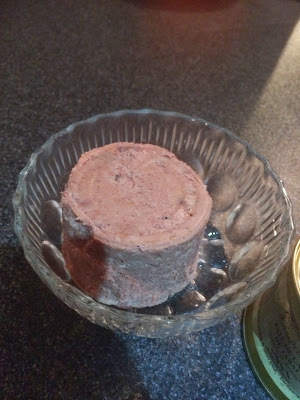 One of the dangers of FoodStuffFinds is that once people find out about it and understand it's basic idea of eating odd stuff they tend to provide some. This was part of my Xmas present off my boss this year (the other two parts will also be reviewed but require a different kind of bravery). 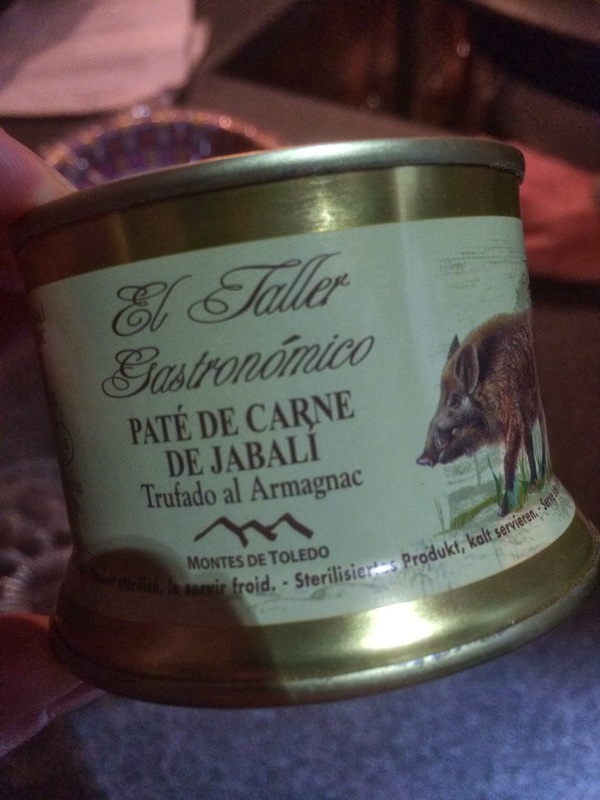 Here we have a can of wild boar paté. This isn't something I'd normally buy, or eat. It's not something I could ever see myself sitting down and eating the whole thing of either (the haggis at least was portion sized). ...but when served up was a bit of a hit! This is my plate - as evidenced by the sheer amount of meat and the token green for the photograph. The texture was fairly grainy but a lot less mushy than I'd expected. It was firm and easy to spread on the Kettle Chips (plain) that I ate it on. 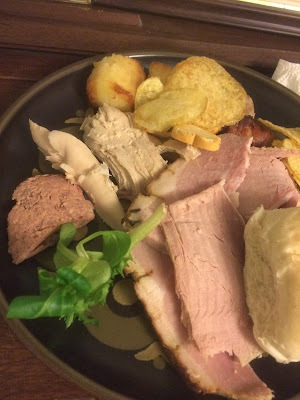 The taste wasn't that dissimilar to normal pork, but did have a slight tang to it which was nice. Both my younger cousins and older relatives enjoyed it and it was all finished by the time the table was cleared, with non making it to the leftovers meal for the following day. While I think i'd gravitate towards the large cooked ham more than the paté given the choice I did enjoy this, and would consider that this was very successful at adding another flavour and a talking point to the New Years table. A very enjoyable present, and another meat snack that isn't as scary as it first looks.